CAMBRIDGE, UK, December 22, 2009 (ENS) – Sea pigs, giant sea spiders, ice fish, octopus, rare rays and basket stars that live in the seas of Antarctica’s continental shelf are revealed in a series of new photographs released today by the British Antarctic Survey. A research team from across Europe, the United States, Australia and South Africa onboard the BAS Royal Research Ship James Clark Ross sampled and photographed marine creatures from the Bellingshausen Sea, West Antarctica – one of the fastest warming seas in the world. “Our research on species living in the waters surrounding the BAS Rothera Research Station on the Antarctic Peninsula shows that some species are incredibly sensitive to temperature changes,” he said. Marine algae distribution and sea ice retreat are two of the strongest impacts of climate change measured in the region to date. Long-term monitoring reveals that the ozone hole has delayed the impact of greenhouse gas increases on Antarctica’s climate, according to the first comprehensive review of the state of Antarctica’s climate and its relationship to the global climate system. The review was published December 1 by the Scientific Committee on Antarctic Research. Based on the latest evidence from 100 scientists from 13 countries, the review focuses on the impact and consequences of rapid warming of the Antarctic Peninsula and the Southern Ocean – rapid ice loss in parts of Antarctica and the increase in sea ice around the continent; the impact of climate change on plants and animals; the unprecedented increase in carbon dioxide levels; the connections between human-induced global change and natural variability; and the fact that the ozone hole has shielded most of Antarctica from global warming. 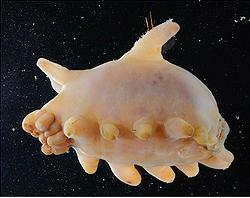 Sea pig, also called sea cucumber or Holothuroid, was one of the most abundant animal species sampled. Professor John Turner of British Antarctic Survey is the lead editor of the review. “For me the most astonishing evidence is the way that one man-made environmental impact – the ozone hole – has shielded most of Antarctica from another – global warming,” he said. “Understanding the complexities surrounding these issues is a challenge for scientists, and communicating these in a meaningful way to society and to policymakers is essential,” Turner said. 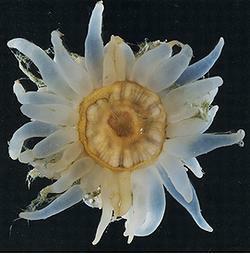 A new soft coral unknown to scientists was found during this research voyage. 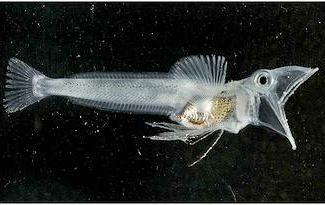 The British Antarctic Survey research voyage is part of an international study on sea surface to seabed biodiversity. Scientists used a wide array of equipment to collect samples of animals from the coast to the open ocean, ranging in size from microscopic to giant. Peter Bucktrout photographed the unusual variety of life from on and above the deep continental shelf. “Our new studies on the diverse range of marine creatures living in the deep waters of the Bellingshausen Sea will help us build a more complete picture of Antarctica’s marine biodiversity and give us an important baseline against which we can compare future impact on marine life,” said Dr. Barnes. BAS biologist Dr. Sophie Fielding studies krill – small crustaceans that are the main food for penguins, seals and whales. During the research cruise she found wide variations in species living within a relatively small area. British Antarctic Survey, a component of the Natural Environment Research Council, delivers interdisciplinary research in the polar regions. Its science and support staff is based in Cambridge, Antarctica and the Arctic. The British Antarctic Survey has over 450 staff and operates five research stations, two Royal research ships and five aircraft in and around Antarctica.